Seigo Nakamura, owner of the Tora Corporation in Japan, is the visionary behind Aburi Restaurants Canada. His unique concepts and business strategies have led to the creation of Aburi style cuisine and the Ningenmi philosophy. 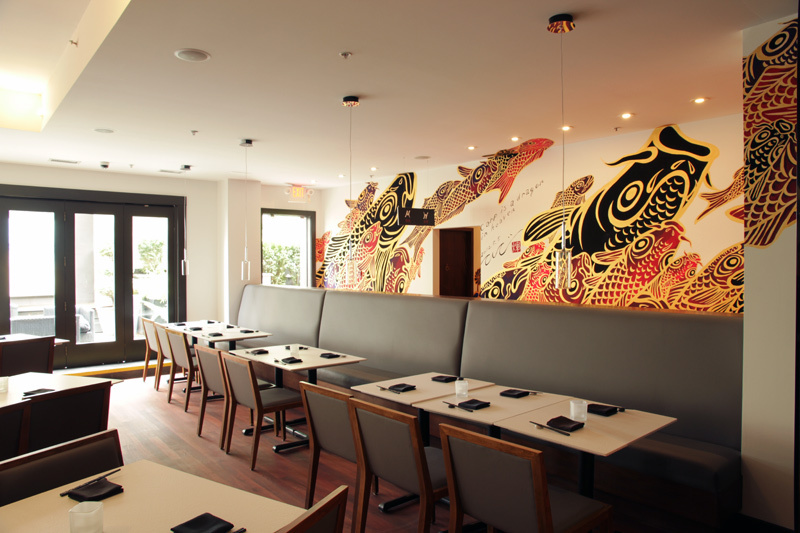 Aburi Restaurants is the parent company of Miku Vancouver, Miku Toronto, Minami, Gyoza Bar, and TORA. For more information, visit the Aburi Restaurants Website. Miku Toronto brings the Aburi flavour to the East Coast. 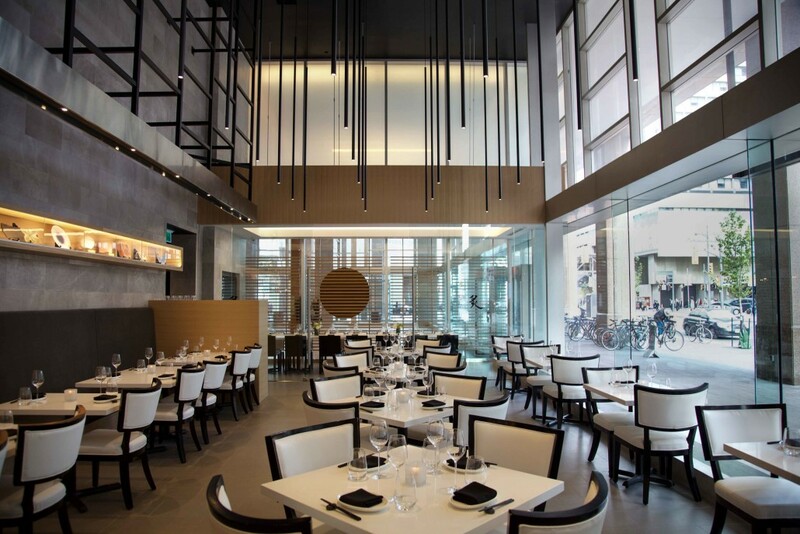 Located on 10 Bay Street near Queens Quay, the 7000 square foot restaurant boasts a minimalist, sophisticated atmosphere with two private dining rooms, kaisen bar, full service lounge, and spacious outdoor dining patio. Since its opening in October 2015, Miku Toronto is already becoming a local favourite for both business professionals and foodies alike. Bringing the vibrant flavours of Aburi sushi and seafood to Toronto’s Southern Financial District, Miku combines traditional Japanese flavours and techniques with local ingredients to create a truly innovative dining experience. Paired with an extensive sake and wine list and impeccable service, Miku Toronto provides an unforgettable dining experience. 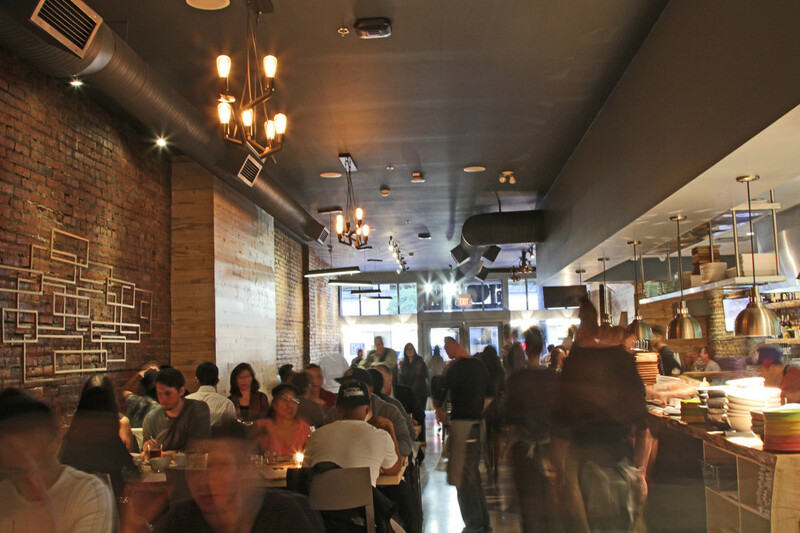 Located in the vibrant Yaletown District, Minami combines traditional Japanese flavours with West Coast influences to create flavours that are both familiar and new. Minami is known for its Aburi cuisine, notably its Aburi Sushi Appetizers and innovative main courses, which as well as an extensive sake list curated by sake specialist Miki Ellis. Minami’s intimate environment features a full bar and lounge area, two large private dining rooms, as well as a hidden garden patio. Minami is perfect for guests who are looking for a private getaway within the city. Gyoza Bar exudes an atmosphere that is both warm and inviting. Located in an age-old heritage building, we have maintained as much of the original brick walls as possible – creating an environment that is both contemporary and classic. Our menu is designed to reflect this casual appeal while providing a high level of service and commitment to quality. Featuring classic favourites such as gyoza and ramen, as well as more creative ventures like bao boards and small plates, Gyoza Bar puts an innovative twist to conventional Japanese comfort food. Pair with wine or sake on tap for the ultimate Gyoza Bar experience. Visit during their Happy Hour between 3-6pm from Monday to Saturday and enjoy their $10 Beer & Gyoza special, $4.5 highballs, and $5 small plates. TORA connects people and food through state-of-the-art technology. 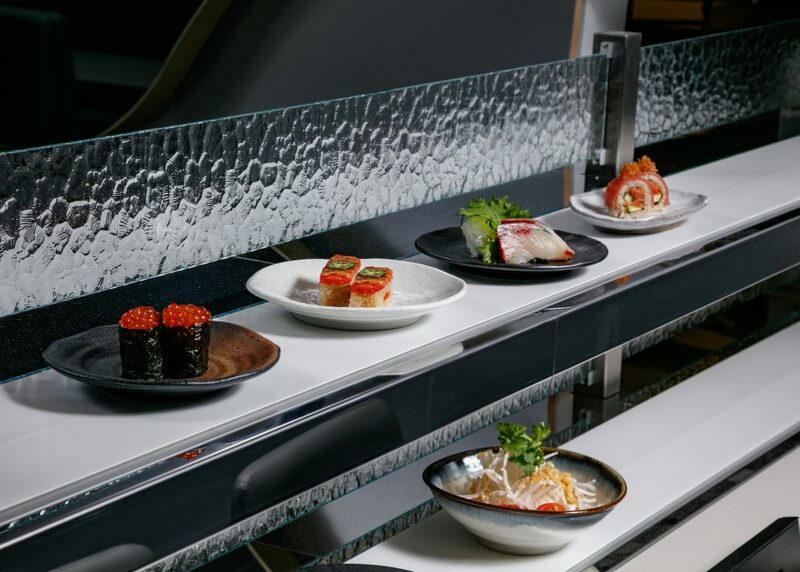 TORA’s restaurant concept uses a sushi concierge system- an intuitive ordering platform and a series of laneways that deliver your food directly from the chef’s hands to your table. TORA’S aim is to create an atmosphere which is exciting and new, while at the same time welcoming and fun. TORA’s chefs have created a menu which highlights the quality you’ve come to expect from Aburi Restaurants; serving traditional Japanese dishes with our signature Aburi flair, as well as new and inventive creations. Dishes are meant to be shared, and the variety of offerings allows you to experience a multitude of flavours in one visit. TORA’s signature EdoPrime Nigiri is strongly based in Japanese tradition, offering Edomae-style sushi with premium cuts of Japanese seafood, each brushed with our signature sauces. TORA’s Aburi Oshi sushi is pressed, paired with delectable sauces and garnishes, then flame seared to bring out the natural umami flavour. TORA also offers a wide range of hot and cold dishes, desserts, and a Japanese inspired beverage list. Aburi Restaurants Canada is excited to introduce the country’s first TORA to Toronto.